Located just a short distance from the beautiful and historic city of Leiden on the Old Rhine, and within easy travelling distance of The Hague and Amsterdam, Koningshof is ideal for holidaymakers hoping to explore the South of Holland. Holiday accommodation in a rented luxury tent or mobile home means not having to worry about packing equipment or driving on unfamiliar roads abroad. This family-friendly holiday camping site is close to the sea, a lake, small village and town, with access to public transport available within a few steps - so no need to hire a car. Book your mobile home with LUX-camp now and avoid a last minute scramble for the best pitch! 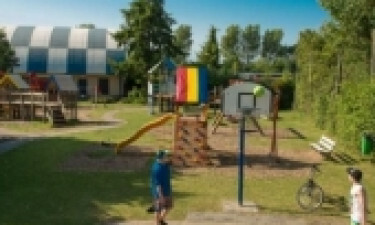 Why stay at Camping Koningshof? the beach with sand dunes is just 5 kilometres away – a short cycle ride. 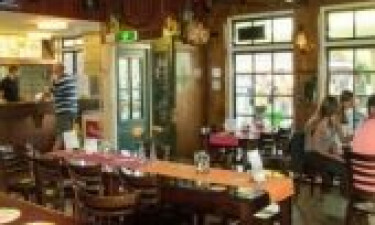 the tourist attractions of Leiden, Amsterdam, Delft, Rotterdam and The Hague are easily reached. the Ranstad region is a great place for cycling, walking and boating. Kids will love playing ball games on the field, or there is the skate park to look forward to, as well as a fishing pond and tennis court for older children, teenagers and adults. Entertainment is also laid on during the summer. In addition to the onsite indoor and open-air pools, swimming is also possible in a nearby freshwater lake, or in salty North Sea water from the beach. Alternatively, bike hire is available for those wonderful excursions into the countryside, with its flat terrain and cycle trails that are suited to all ages and abilities. LUX-camp permits dogs here throughout the season, so four-legged campers will love the runs they can have in this beautiful part of southern Holland. Has this whetted your appetite? Then book your camping holiday at Koningshof now! From burger with chips to typical Dutch gingerbread served with a cup of strong tea or coffee, camping luxury at Koningshof includes an onsite restaurant and snack bar, where guests can enjoy a wide selection of meals and refreshments that should please all appetites. The nearest village is within an easy 3.5 kilometre cycle ride, where more dining out amenities are also on offer. The closest town is within 10 kilometres, so guests are only ever a short bus ride away from nightlife and great choice. This holiday camping site offers campers a fully stocked supermarket onsite for all the little necessities of life and fresh produce for those al fresco meals under sunny skies. Why not try the Gouda for picnics with a real ploughman's lunch?